This site has been built over many years and I am constantly adding to, and refining, the pages. I say there are a total of 101 Biggles books and you can read why here. The books were published between 1932 and 1970 and there were also six omnibus editions (reprints) published within this period as well. Two further final books were published in the 1990's gathering together all previous material not in the original books. 11 books published between 1941 and 1950 with 3 other short stories published elsewhere. 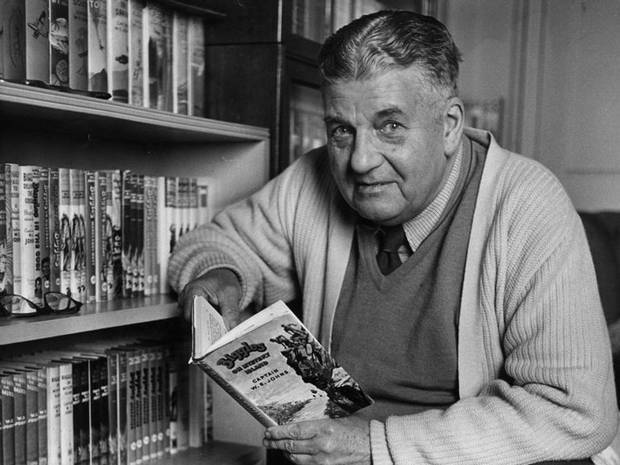 10 books published between 1943 and 1954 with one short story published elsewhere. Four of these Gimlet books also feature Biggles so they it can be said that they are technically “Biggles” books as well! Likewise, Gimlet and his comrades feature in one Biggles book so that would technically be an eleventh “Gimlet” book! 10 books published between 1954 and 1963, with no short stories published elsewhere. 6 books published between 1936 and 1939 with one of these books, (The Missing Page) originally only being published abroad. 8 other juvenile books published between 1938 and 1960 - I have also included the one book that, uniquely, contains a Biggles, Worrals and Gimlet story as it doesn’t fit easily into any other category! 12 books, 11 published between 1922 and 1960, for the adult market and a short story collection published in 2001 that gathers together previously uncollected stories. 8 books published between 1932 and 1962 including 'The Biggles Book of Heroes' and 'The Biggles Book of Treasure Hunting'. First launched on 11th February 1928 and always costing just 2d (two old pence) - This magazine ran initially for 523 weekly issues until 12th February 1938. W. E. Johns started contributing illustrations and then articles and then from issue 257, the Biggles stories were published in it. On 19th February 1938 "The Modern Boy" was re-launched in a new size and this new “Modern Boy” was re-numbered from issue one again. It ran until issue 87 was published on 14th October 1939. Production then ceased due to wartime paper shortages. W. E. Johns contributed an article to every issue called "Let's Look Around" and it continued to feature the Biggles stories. This magazine was a monthly publication first published on Wednesday 16th March 1932 and it ran for 88 months before the last issue appeared in July 1939. This magazine was a weekly publication first published on Friday 2nd April 1938 and it ran for 84 weeks before the last issue appeared on Friday 4th November 1939. First published on 19th January 1879, this paper ran until February 1967. W. E. Johns started contributing Biggles stories with the October 1941 issue and Biggles stories appeared fairly regularly until June 1962. With a 3 part Gimlet tale and 57 appearances by Biggles, Johns’ work appeared in 60 issues. First published on 3rd January 1880, this paper ran until 1950. W. E. Johns first article was in the April 1934 issue but he started contributing his Worrals stories with the October 1940 issue and the Worrals stories appeared regularly until September 1947. 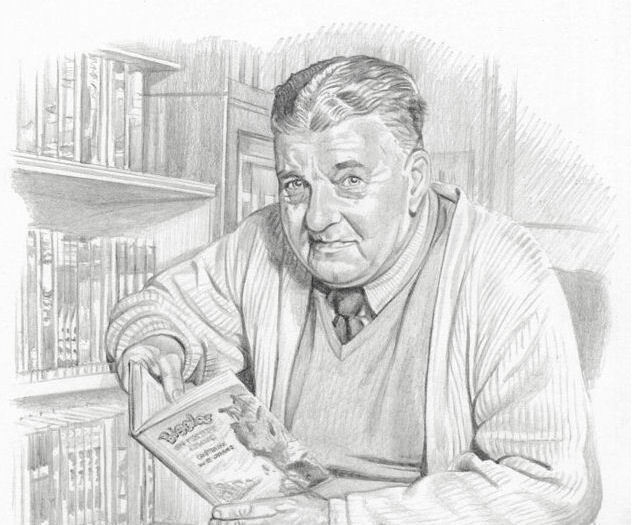 Johns’ stories appeared in 60 issues. This is a guide to the articles written by Captain W. E. Johns for “My Garden” magazine. He actually wrote 100 articles for this monthly magazine. This web page tells you which issues those articles were published in and gives you a summary of what he was saying. The bulk of the articles were headed “The Passing Show”. First published in 1935, W.E. Johns contributed seventeen articles to sixteen issues. His work first appeared in the November 1936 issue (Number 12) and his last article was in the April 1941 issue (Number 65). The Air Defence Cadet Corps Gazette was first published in June 1939 this ran to 15 issues over two volumes. The first volume of 9 issues contains no W. E. Johns work but every issue of the second volume did. The last ever issue – January 1941 – is believed to be the rarest Johns magazine or periodical to obtain as it is thought that only 1000 issues were printed. The Air Training Corps Gazette was first published in March 1941; this ran until June 1946 when that issue became the Air Reserve Gazette. The first volume had ten issues, running from March to December 1941. Volume two then commenced in January 1942 and each volume ran until the December, that being 12 issues. Johns’ work appears in the first three volumes only. Find out EXACTLY how many Biggles stories there are and exactly how many World War I Royal Flying Corps stories there are! There is also a link to my guide to the correct order of the Royal Flying Corps stories! This guide is helpful is working out which dust jackets were on the first editions. There are two separate pages – one dealing with Biggles books and one dealing with all of the other W. E. Johns books. Find out how the books were written! Did W. E. Johns write any more books? This is a non-profit making fan based web site purely for the information of fellow fans - no infringement of copyright is intended.